I am old enough to remember when the Dow was below 22,000 and headed towards 21,000. That was a month ago, the day after Christmas. This week, it passed 25,000. Volatility is a two-way street, and it would appear those who have a strong aversion to volatility like it when it goes to the north (no surprise there). We evaluate the reasoning behind the Dow's rally in this week's Dividend Cafe, and look into all sorts of other events relevant to investors now! Yes, the Fed is at the center of so much of our discussion, but so is earnings season, credit markets, contrarian signals, and politics. So let's jump into this week's Dividend Café! The Fed, as expected and known by markets, did not raise interest rates this week. But the news that facilitated the market's rally was in the Fed's comments after the non-hike ... 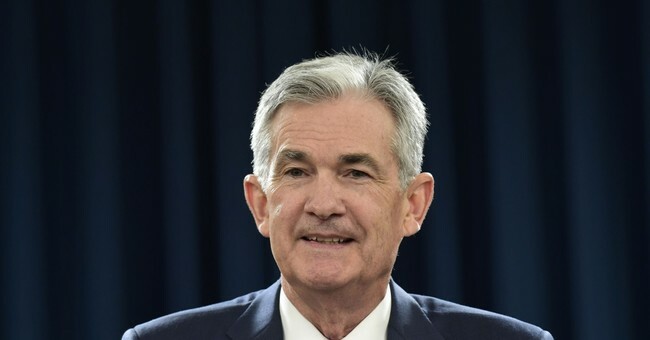 If you listened to Chairman Powell on Wednesday and went back to a couple of his Q4 addresses, you would think you were watching speeches separated by years, not mere weeks. The Fed referred to "patience" time and time again in explaining their monetary priorities for 2019. The Fed also removed language from its statement about maintaining its balance sheet reduction plans, and instead referred to being "prepared to adjust for normalization in light of economic and financial developments", the Fed chair said he didn't see the need for further hikes right now; a far cry from his language just weeks ago that the fed funds rate was "a ways from the neutral level." Critics of the Fed say that the Fed succumbed to the markets as opposed to leading markets. I am not totally sure whoever appointed the Fed in charge of "leading the markets," but I do understand the criticism. The rebuttal to that from some is that the Fed is not capitulating to markets as much as responding to the signals that the market itself provided - in other words, the market gave clarity to the view that the economy cannot handle at this time an aggressive reversal of ten years worth of monetary accommodation. My own view is that there is truth to both sides of this divide - from the Fed critics and the Fed apologists. At the end of the day, I do believe the Fed is capitulating to markets, and that the Fed has a 20-year history now of doing just that (I see the genesis of it in 1998 under then Fed-chairman, Alan Greenspan, and I have wanted to write a Market Epicurean piece about the game-changing Fed behavior of 1998 for quite some time). But I also believe that markets do not just create causes but also reveal effects, and that the Fed's quantitative easing of 2009-2014 was never going to be reversed without some pain. The Fed hit a point where they realized they had pushed monetary normalization as far as they could without risking severe distress in credit markets. The hope for people who value a sound dollar and rational capital markets is that the Fed will merely pause from further tightening here, and not actually reverse their normalization. Further easing only delays the pain of inevitable reversal. A pause allows other dynamics to work their way through the economy, but doesn't further add to the problem. When you're in a ditch, quit digging. Go back to Christmas Eve and the month markets had just had. After a 15% trouncing for the month, markets added another 600+ point drop, and more pain, uncertainty, and negative sentiment were on the horizon. Now let's say I told you that the government was about to shut down, and it would last for 35 days (on top of the negativity in the environment already). Would you guess the market would be down another 5% or maybe 10%? We talk a lot about "tail risk" in our business, which is a fancy term for "low probability events that can do substantial damage." They are called "tail risk" events because of where they fall in the probability distribution of a bell curve, and by now I have already started to lose most of you. But here is the thing that must be understood: Stocks that have greater exposure to alleged "tail risks" vastly outperform stocks that don't. The very essence of risk premium requires this to be true. A higher return is expected when there is a higher risk, and by definition, tail risk is a risk that rarely manifests itself, yet always lingers (thereby creating risk premium in a stock's return even if that risk does not comer to fruition). Valuations reflect these risk realities, and we know that a stock's long term return has a great deal to do with the valuation paid for it. Why does a stock sometimes release numbers that were not on the surface good, but then see its price rise? Because the market was expecting numbers even worse. And why does a stock go down sometimes after releasing what seems like really good news? Because the good news was priced in already. Markets discount expectations into their prices each and every day. Earnings season creates volatility around the delta between expectations and reality, but that "delta" does not always play out the way you may expect. Look, if you believe the possibility of near-term movements higher in stock prices represent a reason to breathe differently than you otherwise would, the facts of the matter are these: U.S. economic growth is likely to prove steady this year - slower than last year, perhaps - but growing nonetheless, and at a steady pace. Inflation is clearly muted, with both oil and housing in a different place than they were a year ago. You add to a steady growth, non-inflationary environment, a Federal Reserve that is pausing, thereby not putting pressure on borrowing costs throughout the economy, and you probably do have a pretty good run-way for stock market returns. Are there other factors to consider out there? You bet! But the big picture environment that was so concerning at different points in 2018 (Is inflation about to run higher? Is the Fed about to cut off access to credit? Is growth about to violently turn downwards?) is entirely different now, at least as far as those particular concerns go. The bigger question ought to be, I suppose, why the near-term pricing of equities would effect one's breathing at all. I don't breathe better when markets are good for the same reason I don't breathe worse when markets are bad - we manage for year-over-year dividend growth from our investments, believing that it is a superior barometer for real investment results, devoid of the noise that so often plagues investor breathing. Trade talks heightened within the White House this week between the U.S. and China, though no details have been released as of press time (though by the time you are reading this we likely do know more). Technology transfer rules and enforcement mechanisms around intellectual property theft remain a top discuss priority. Indications going in were very positive that there was mutual interest in unwinding 2018 tariff increases and formulating new commitments to reciprocal trade volume. The significant shift leftward of the leading Democratic candidates for President in 2020 has done two things, so far. On one hand, there is clearly a hint of worry that the rather far-left progressive notions could be detrimental to a market economy (a "wealth tax" as proposed by Sen. Warren, a $40 trillion "Medicare for All" program as proposed by several candidates, etc.). But on the other hand, there also exists a growing belief amongst market actors that this far left shift may very well be the catalyst to not shifting power in 2020, as even those dissatisfied with President Trump find themselves unable to support that level of socialism in America. The political handicapping of 2020 is going to create a lot of opportunities for people to predict things wrongly. I am going to do my best to avoid that trap this time around. The move higher in stocks since the financial crisis has not been without corrections and interruptions. The blue circles below reflect the very short periods in 2018, 2016, 2015, 2011, and 2010 where bears got to pound their chest and pretend they were making money being a pessimist. The problem, of course, is that big blue diagonal arrow line that goes from bottom left to top right, as corrections were short, came quickly, and provided little real investable opportunity along the way. Being a perma-bear is a fine way to sound smart every now and then, and apparently has given four or five little moments over the last decade for pretending one knew something they certainly didn't know. But it is not a fine way to actually make money as an investor, because it requires a timing foresight that only liars can claim to have. "The only people who never get criticized are those who never do anything." David L Bahnsen writes at the Dividend Cafe.